Dogs have to eat too. Tomorrow is Rolex's 4th Birthday, so I found a cake recipe for dogs...…. Looks like a giant cookie to me, very nice. It looks like a giant latke (a Jewish potato pancake). What are the ingredients? 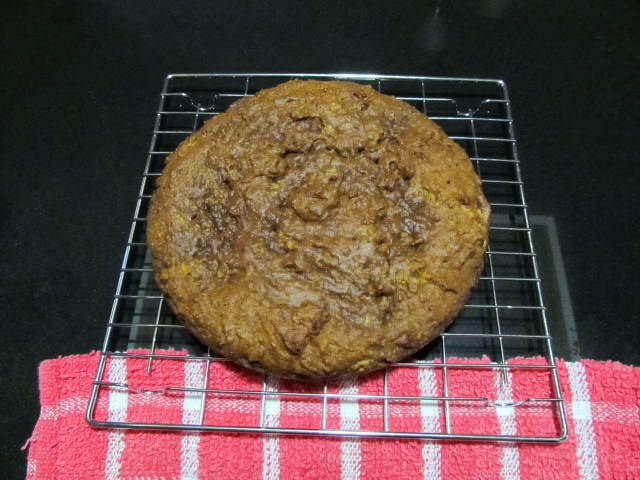 (09-26-2018, 01:17 PM)lloydrm Wrote: Looks like a giant cookie to me, very nice. (09-26-2018, 01:19 PM)chazt Wrote: It looks like a giant latke (a Jewish potato pancake). What are the ingredients? Grated carrots, peanut-butter,flour,honey, egg,oil,vanilla. That's it. FWIW, one of our dogs had allergies to lots of stuff in commercial DF, so I got Dr. Pitcairns book and developed my own recipe. The dog responded in huge fashion by not having ANY of the symptoms he had been having (Geez, I loved that dog!). I still make 5 gallons of that food every 20 some odd days for our present dogs. Our vet comments on their condition and the lack of tartar and such on their teeth. Most commercial dog food is just inexpensive garbage. (09-27-2018, 12:49 PM)ShadowsDad Wrote: Is there a link to the actual recipe? Oh man! There needs to be at least a little meat in there Ron! Happy Birthday to the watch dog! I don't have the link. Birthday Cake Recipe can be found listed as DOGGIE BIRTHDAY CAKE...…. at Allrecipes.com Great human stuff too. Belated wishes to Rolex a smart looking schnauzer. 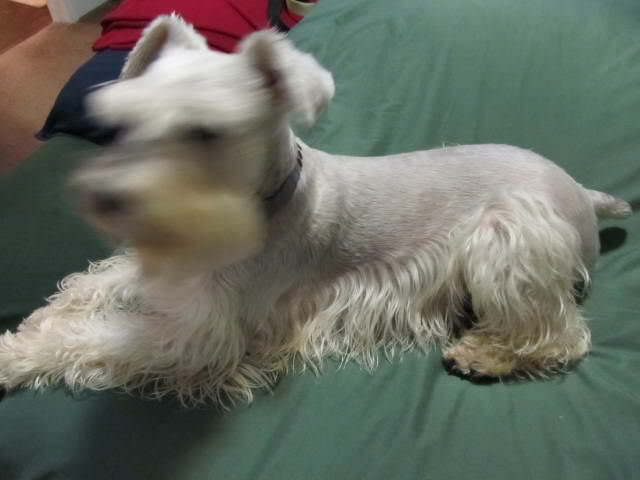 (09-28-2018, 09:13 AM)Garb Wrote: Belated wishes to Rolex a smart looking schnauzer. Thanks for the source. Yeah, it could be human food. There's nothing bad in it. (09-26-2018, 09:54 AM)zipper Wrote: Dogs have to eat too. Tomorrow is Rolex's 4th Birthday, so I found a cake recipe for dogs...….